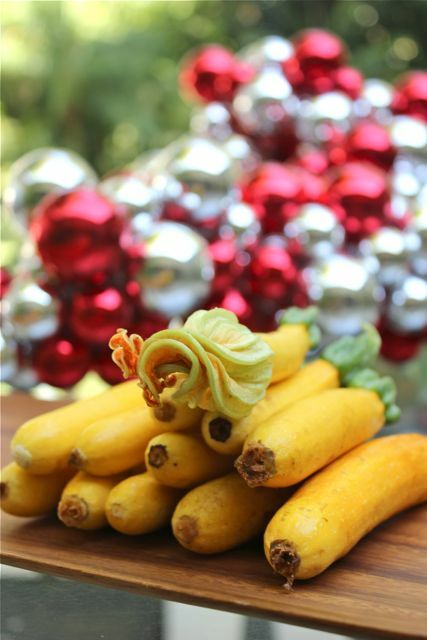 Found these wonderful baby yellow zucchinis at the Salcedo market yesterday. They are exactly the kind of produce I wish were available more often. Perfect for a light vegetable pasta dish, great in a chi-chi ratatouille side dish to a plated protein, or something to garnish a long-cooked stew. They were PHP100 for a small pack, the photo has roughly two packs worth. They were just about the size of my middle finger — young and slender. They were from Down to Earth. Also got a kilo of dayaps at Joey Malana’s large vegetable stand. Love zucchini. A great diet food when practicing portion control. It can take on any flavors you add to it. A young reader! Welcome to the fold! Yey! welcome back marketman!…more chronicles from the short US holiday is now being awaited :) ….welcome to marketman’s world CarlosEnrique! …. Nice pics of the yellow squash. 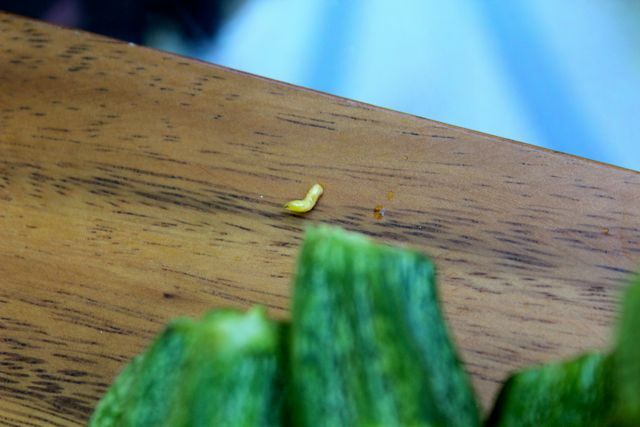 If worms and other critters are on/in the produce it usually means it is good produce (i.e. pesticide free and likely GMO free). Welcome CarlosEnrique :) Have fun! oh, i’ve been wanting to buy those dayap and stock it for the holiday season so i can make a delicious leche flan..
Hey Lee, no “funny” jokes for CarlosEnrique?..Welcome back MM, those suchinnis and squash looks so good…I love them raw, dipped in Ranch Style dressing. Enjoying your new posts MM. Welcome back. And oh, Carlos Enrique, welcome into the clan and enjoy your stay! i wonder what those silver/red balls in pic 1 look like, decorations? Salcedo Market Celebrates Its 8th Anniversary!